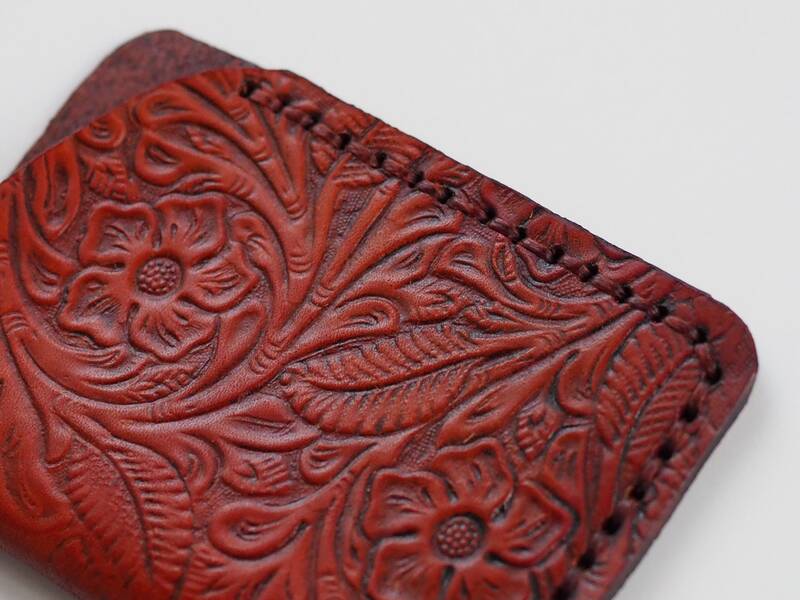 Thank you for supporting hand made! Going somewhere but don't want to carry a purse or bag? 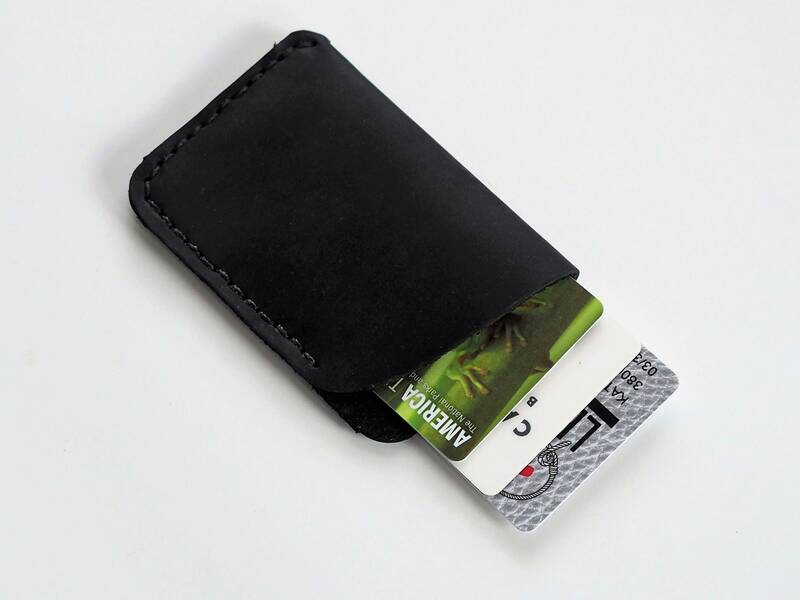 Keep your cards and drivers licence secure and together. 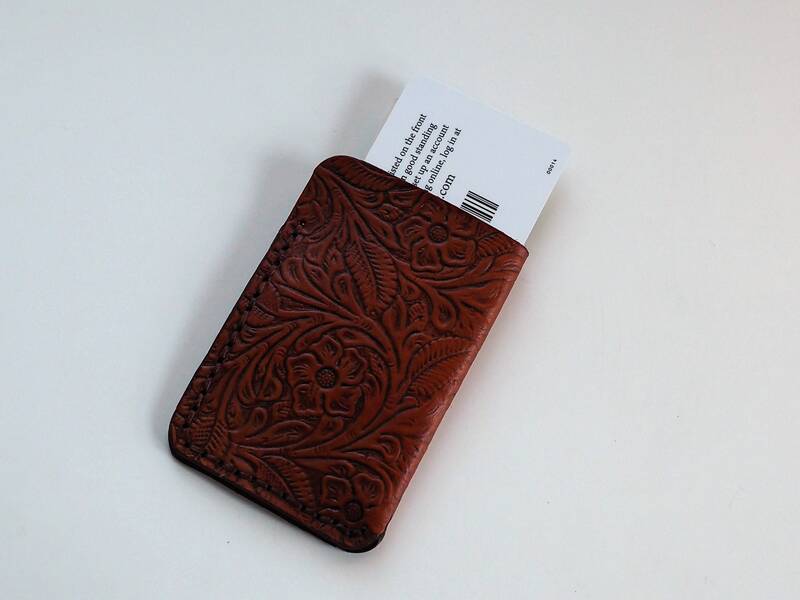 Fits easily and discretely in your pocket. 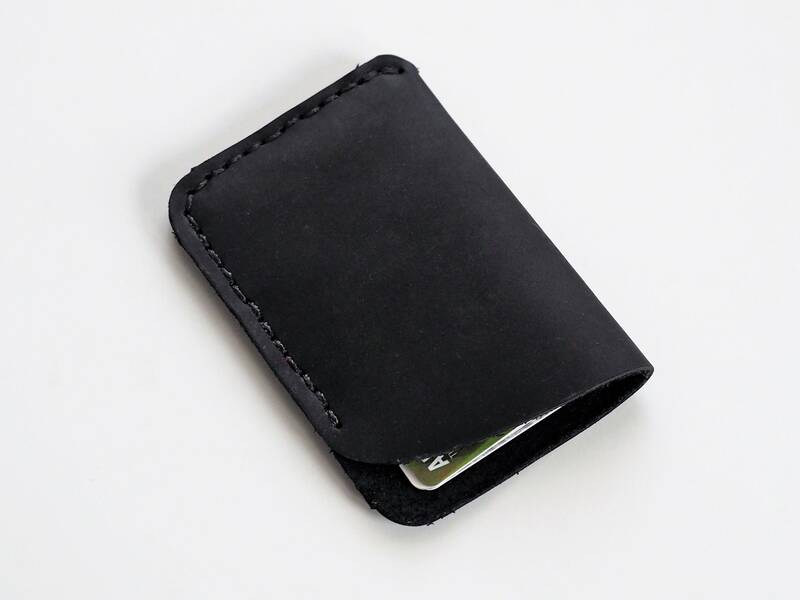 Slim alternative to a wallet. 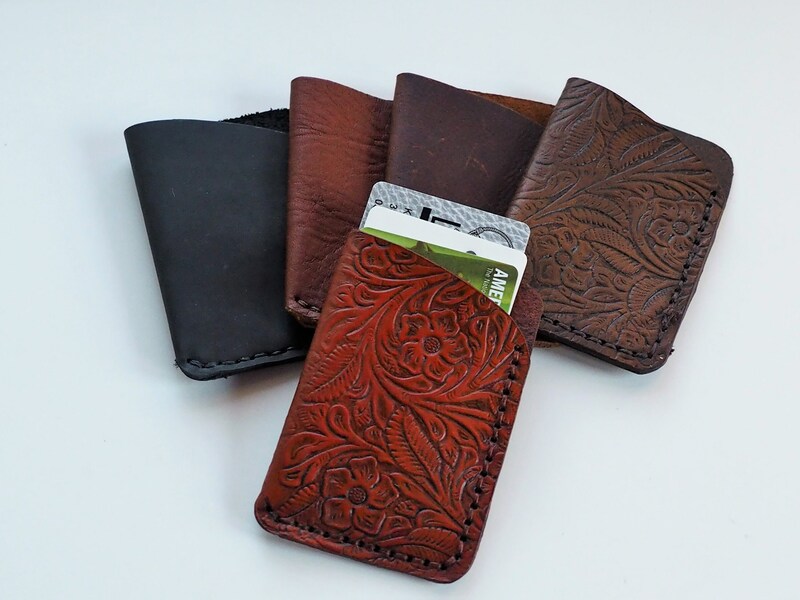 Carry your credit cards, business cards, or cash. 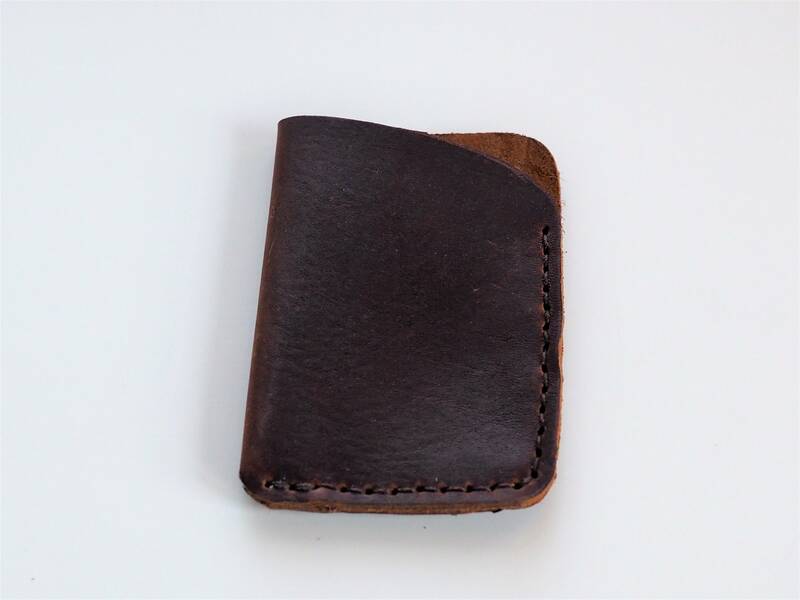 Holders made from leather and are hand stitched. 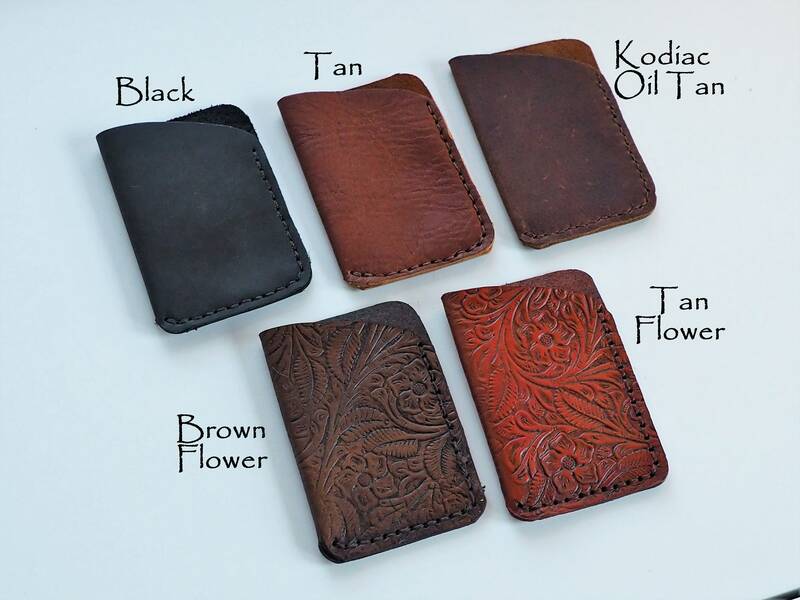 Available in Black, Tan, Kodiac Oil Tanned, Brown Flower, and Tan Flower. 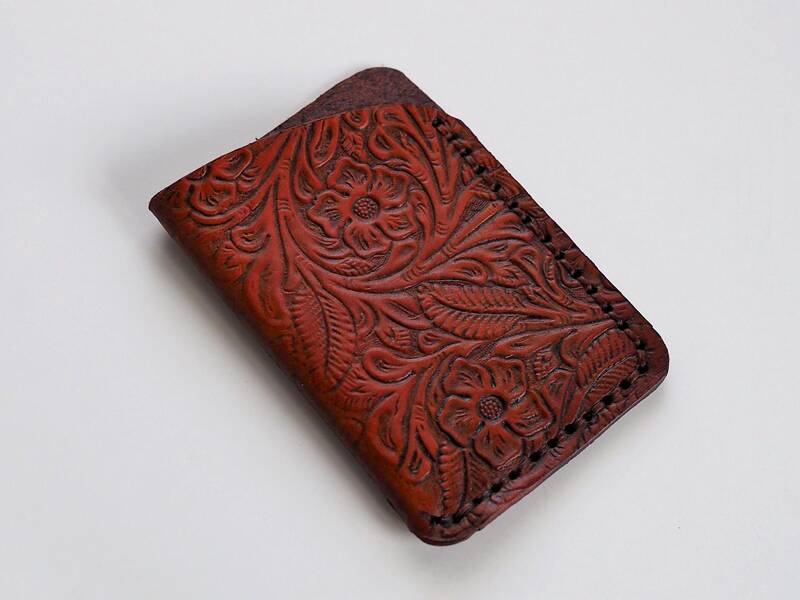 Leather is 2-4 ounces. TwoOaks accepts Visa, Mastercard, American Express, Discover, Etsy gift cards, and PayPal. Cash and personal checks are not accepted. Lunch bags and Dopp kits get shipped out within 5 business days. Larger bags, totes, diaper bags, messenger bags, etc., are all made to order - please allow up to 2 weeks for your bag to be cut, sewn, finished, and shipped out. I am not Amazon Prime! :) I do try my best, however, to get your order to you as fast as I can! Thank you for your patience! Domestic shipping will be USPS Priority Mail, international shipping will be through USPS priority mail or first class, whichever costs less. It is difficult to determine cost of shipping for multiple items, especially international since cost is based on total weight. Any excess paid for shipping will be reimbursed when bag(s) are shipped. Some countries charge additional fees for customs, duty fees, VAT, etc. The buyer is responsible for any additional costs. Due to customers reporting stolen shipments, items valued greater than $250 will require a signature upon delivery. Unfortunately, packages sometimes get lost in the mail. Once there is a United States Postal Service (USPS) tracking number generated and has been accepted by Scandia Postal Service, Two Oaks Trading can no longer assume responsibility for the packages to be delivered; from then on forward it is in the hands of the USPS or whatever international carrier that may apply. Though this is rare, it does happen. Domestic orders generally have some insurance through the USPS; contact your local USPS branch to obtain information about redeeming this insurance. If for any reason a buyer is not satisfied with an item purchased, you may return it for a full refund within 30 days from original ship date (not valid on custom or personalized orders). Refund includes original cost of item plus original shipment cost. Refund does not include return shipping. As for custom or personalized orders, I can't refund or exchange your item unless it is defective. I fully stand behind my products! If for some reason there is a manufacturing flaw (a rivet fails, etc) let me know immediately and I will repair it at no cost to you. Waxed canvas doesn't require washing. Dirt can be brushed off with a soft bristle brush and/or water. Detergents and dry cleaning will ruin the wax finish. Bare areas can be reproofed with factory wax and a blow dryer. Interiors of bags may be turned inside out, hand washed and hang or lie flat to dry.